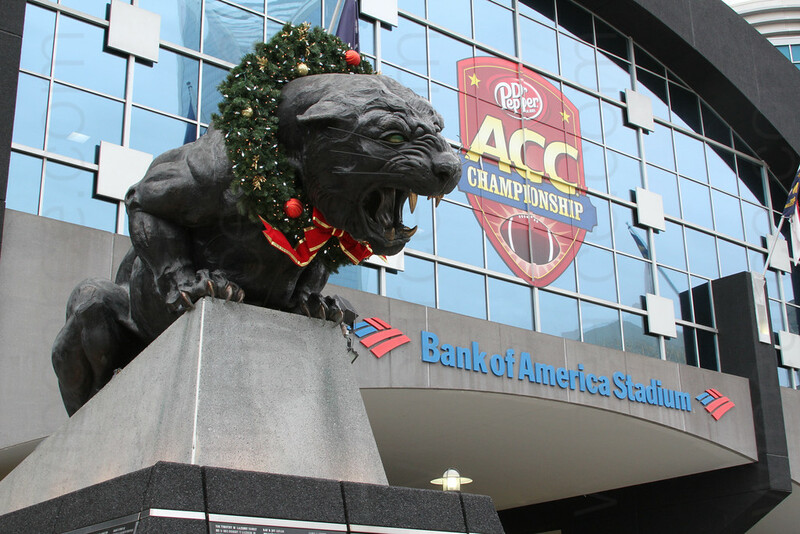 FSU and Duke battled it out on Pearl Harbor Day at the Bank of America Stadium in downtown Charlotte, home of the Carolina Panthers. Both teams had record setting seasons to make it to the championship game. FSU scoring more points in a season than any other previous Seminole team (and third overall in NCAA history) and Duke on a ten game winning spree unprecedented in their history. 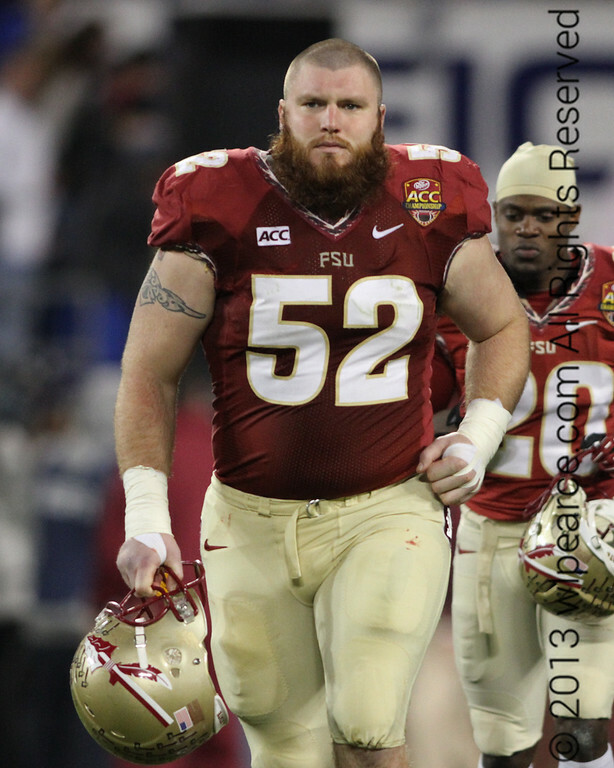 So there was a great sense of anticipation when captains Bryan Stork and Lamarcus Joyner ran out for the coin toss, to see what the Blue Devils could do against the Seminole juggernaut. Duke played FSU tough for a quarter. 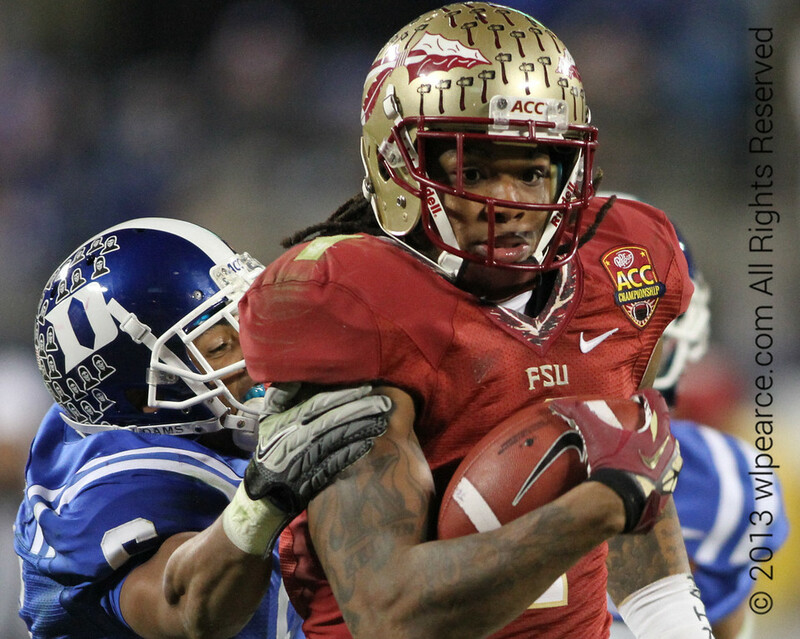 To put it in FSU terms, it wasn't 35-0 at the start of the second quarter, as oft had been the case this season. But as has been consistently the case this season, the Noles defense was simply an impenetrable wall all night long, led by Joyner and Timmy Jernigan. So despite the lack of FSU offense initially, Duke couldn't capitalize. Kelvin Benjamin had yet another highlight reel type of game, adding to his mounting total of catches, yards and touchdowns for the season. There was one scary moment when Heisman candidate Jameis Winston tried his best Superman impression by leaping a tall Blue Devil in one bound for a touchdown, afterwards hobbling awkwardly back to the bench. But thankfully it was a short-lived pain. After the game, came the celebration. I believe this is the first picture I've ever taken of a smiling Jimbo Fisher. Congrats coach! 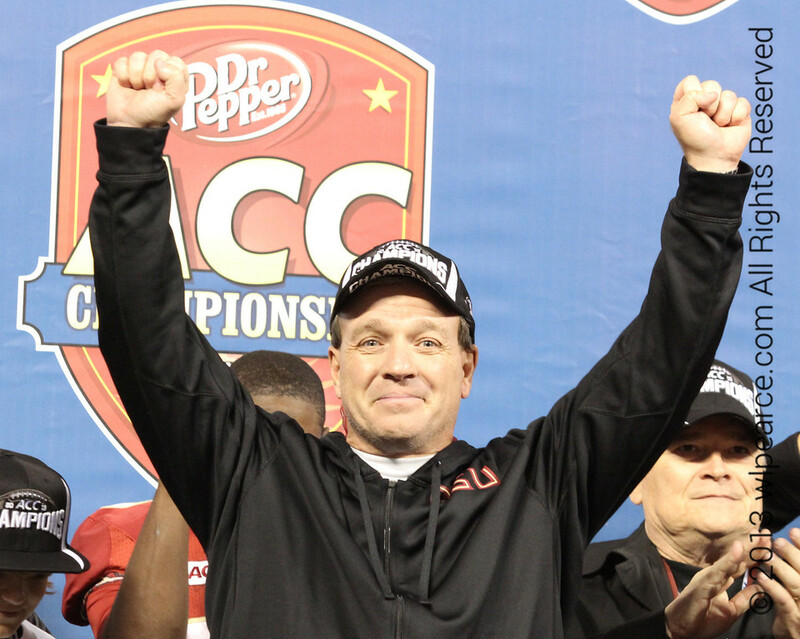 See much more of the 2013 Dr. Pepper ACC Championship Game here. And see much much more of everything at wlpearce.com, where it's all about the pictures! Really good pics! Some really fantastic action shots! Great stuff Bill! you have an incredible "camera eye" and you tell a pretty good story! Great game stuff, but everything you do is wonderful. How you even find some of the spots you shot from is a mystery! Thanks for posting your photos!